The IDEAS Forum features fast-paced and fun presentations (20 slides shown for 20 seconds each) by artists and designers exploring the theme of water from material, aesthetic, cultural, political, poetic, and ecological perspectives. 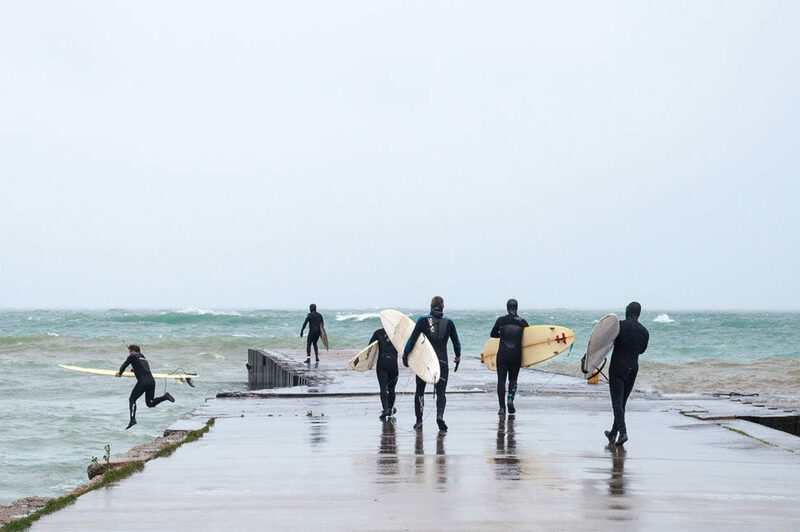 Hear fresh perspectives on the Great Lakes from photographer Victoria Piersig, surfer and designer Antonio Lennert, and architecture and public art duo Polymetis. Learn about water management from architect Aziza Chaouni and DTAH’s Yvonne Battista and James Roche. Artist Lisa Hirmer and architecture firm IBI Group speak about how their respective artistic contributions to this year’s DesignTO Festival address water, and The Bentway’s Director of Programming, Ilana Altman, discusses the relationship of their site to Lake Ontario. Doors open at 6pm. After the talk, head out into the neighbourhood for several installations within walking distance. This event is part of the DesignTO Festival. The TSA is proud to be an Association Partner of DesignTO.